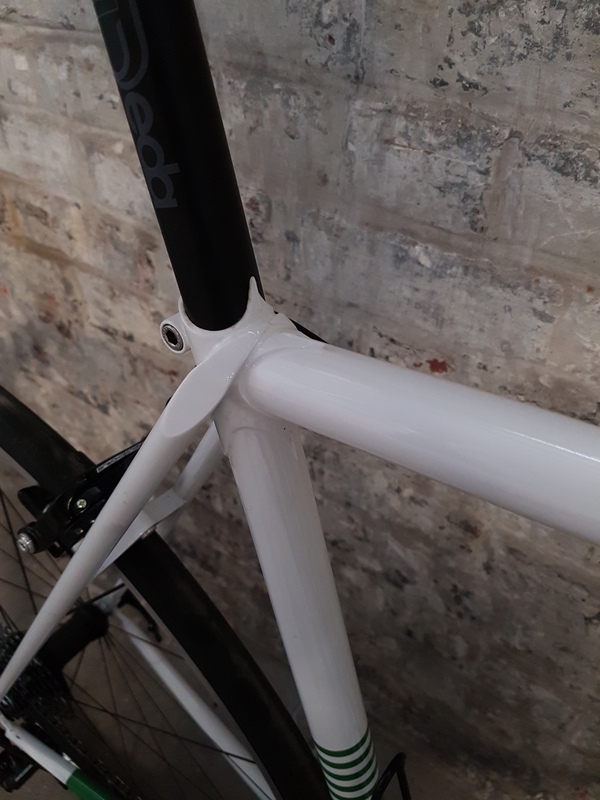 Olivier was looking for a timeless design, however the bike should of course be lightweight, responsive and have all the modern bells and whistles. The result is a classic lugged frame with light-weight and stiff Columbus Spirit tubes and the Llewellyn Custodian lug set which allows a gently sloping top tube design, built precisely to Olivier's measurements. 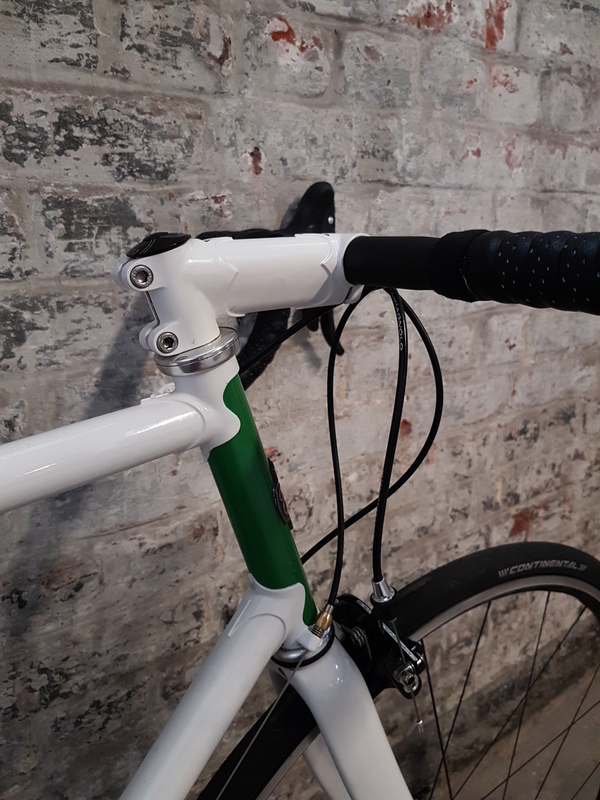 The fork is a 350g Columbus Minima held together by a Campagnolo Record headset and a custom built steel stem for 1” threadless steerers. A Campagnolo Chorus group set, Neutron wheels and Deda components are rounding up the Italian style set up. The paint job was provided by former Tour de France stage winner Frank Hoste.